Buy 25 Top kota sarees wholesale. Kota sarees very light weight sarees and it’s easy to use and maintain. 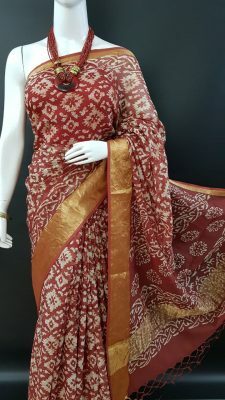 Now a days Kota Doriya sarees became fashion. 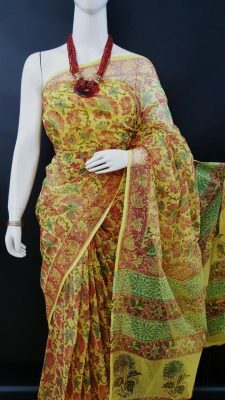 Some Kota sarees woven totally floral design print. 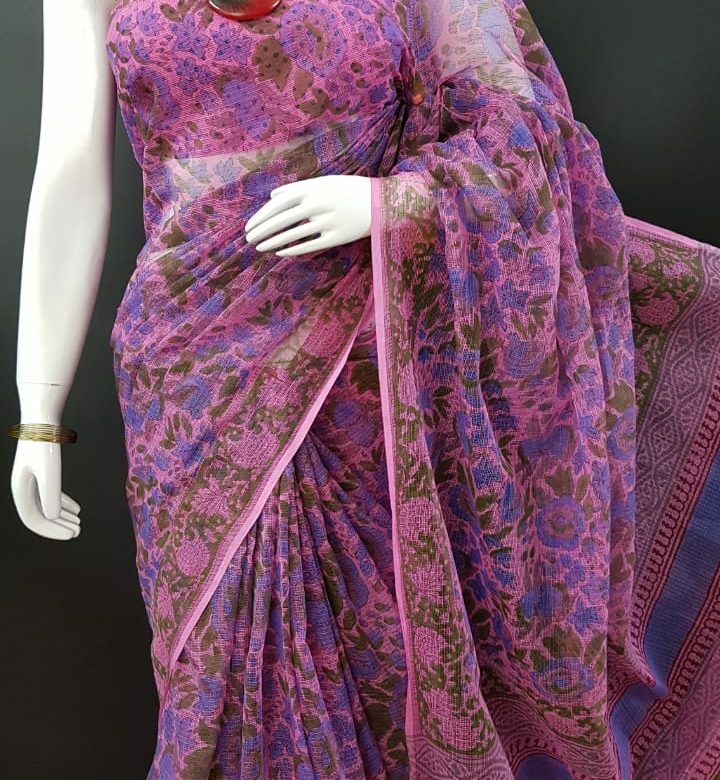 More about kota sarees click here. 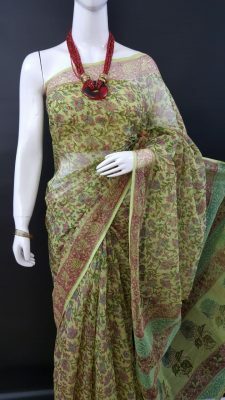 About saree: This saree designed with lite green and maroon color print . 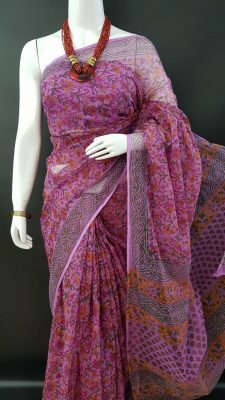 Kota cotton fabric is used to design this saree. 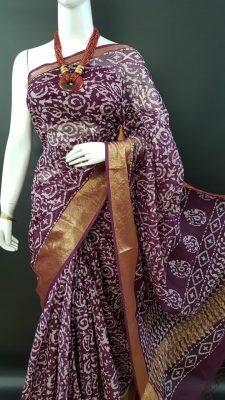 About saree: Saree designed with maroon color. kota cotton fabric is used to designed this saree. 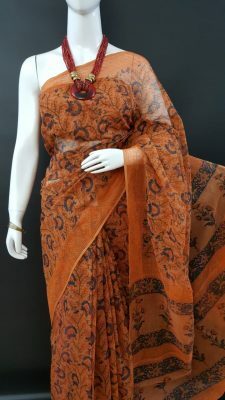 About saree: Saree designed with orange color with black print. kota cotton fabric is used to designed this saree. 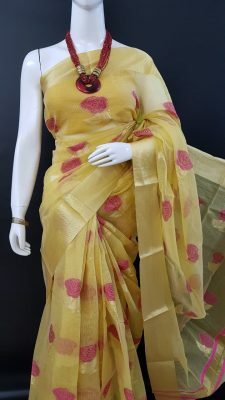 About saree: Saree designed with yellow color. 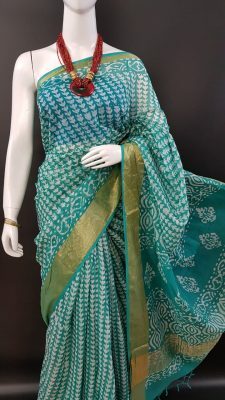 kota cotton fabric is used to designed this saree. 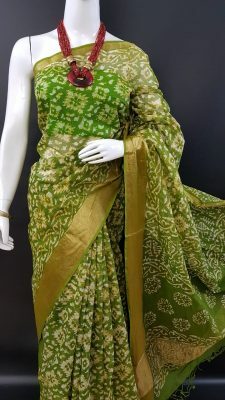 About saree: Saree designed with green color. kota cotton fabric is used to designed this saree. 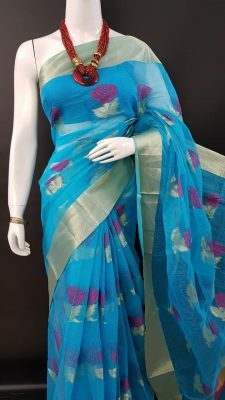 About saree: Saree designed with aqua blue color. kota cotton fabric is used to designed this saree. 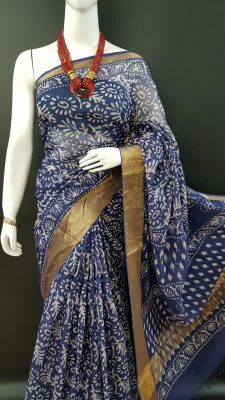 About saree: Saree designed with blue color. kota cotton fabric is used to designed this saree. 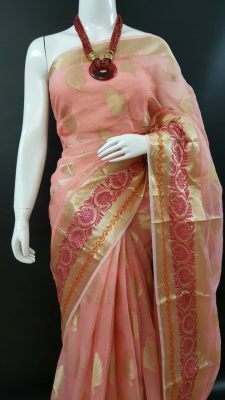 About saree: Saree designed with onion pink color. kota cotton fabric is used to designed this saree. 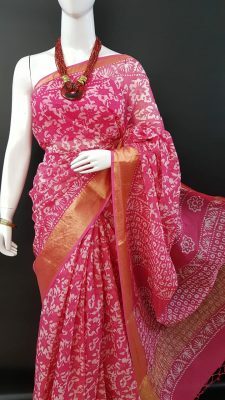 About saree: Saree designed with pink color. kota cotton fabric is used to designed this saree. About saree: Saree designed with voilet color. kota cotton fabric is used to designed this saree. 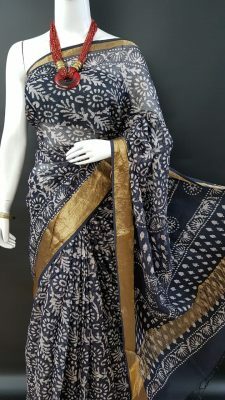 About saree: Saree designed with navy blue color. kota cotton fabric is used to designed this saree. 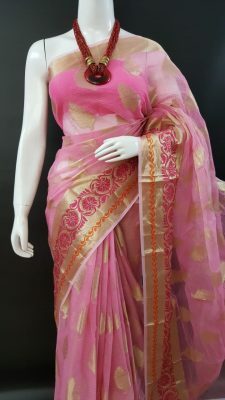 About saree: Saree designed with baby pink color. kota cotton fabric is used to designed this saree. 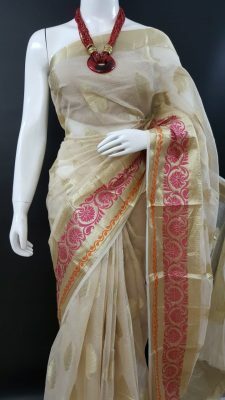 About saree: Saree designed with half white color. kota cotton fabric is used to designed this saree. 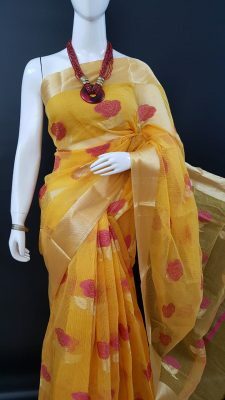 About saree: Saree designed with dark yellow color. kota cotton fabric is used to designed this saree. 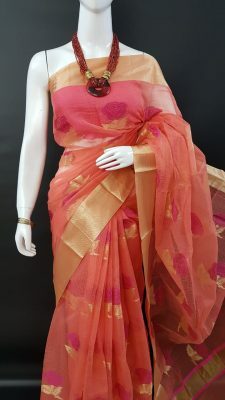 About saree: Saree designed with peach color. kota cotton fabric is used to designed this saree. 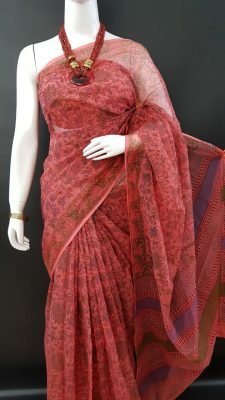 About saree: Saree designed with lite red color. kota cotton fabric is used to designed this saree. 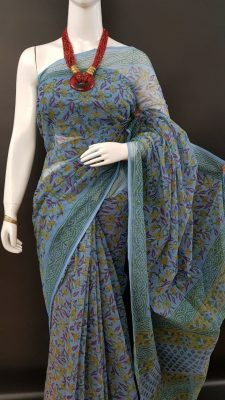 About saree: Saree designed with lite blue color. kota cotton fabric used to designed this saree. 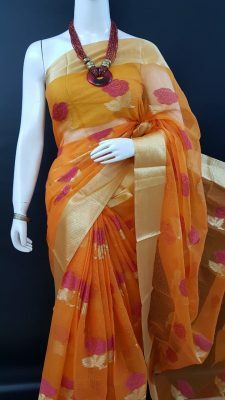 About saree: Saree designed with pale yellow color. kota cotton fabric used to designed this saree. 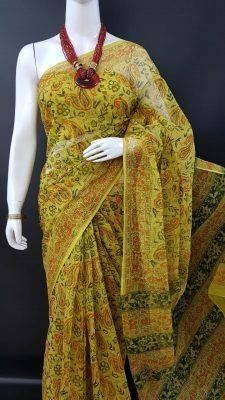 About saree: Saree designed with dark yellow color. kota cotton fabric used to designed this saree. About saree: Saree designed with sandal color. kota cotton fabric used to designed this saree. About saree: Saree designed with dark peach color. kota cotton fabric used to designed this saree. 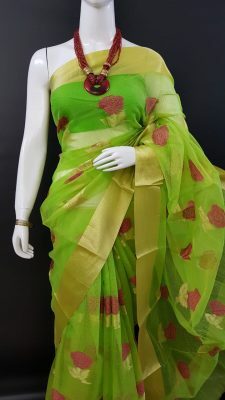 About saree: Saree designed with parrot green color. kota cotton fabric used to designed this saree. 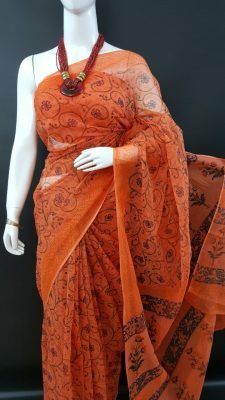 About saree: Saree designed with lite orange color. kota cotton fabric used to designed this saree. 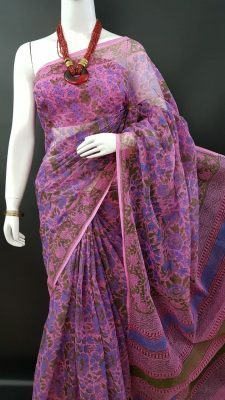 About saree: Saree designed with dark onion pink color. kota cotton fabric used to designed this saree.